It’s what millions of parents are hearing from their kids. After all, it’s legal in eight states in the U.S., it’s legal for medicinal use in 28 states… and Kanye West does it. What could be more convincing? The numbers aren’t small. According to the CDC’s Youth Risk Behavior Surveillance Survey, 30% of male high school seniors admit to being “current users” of marijuana (24% of females the same age). That doesn’t mean they just tried it once (then the number is 51%). “Current users” means they’ve used it in the last 30 days. Think about what this looks like at the local high school down the street. Out of just 100 senior guys, 51 have tried weed, and 30 of them use it at least once a month. If that’s not your kid, that’s one of their friends. Do your kids think it’s a big deal? Perhaps we need to engage our kids in this conversation. That’s the key. We need to create a climate of comfortable conversation about many of these difficult topics in the home. Don’t avoid a conversation because it’s awkward. Silence isn’t the solution. So how can we engage our kids in this conversation? 1. Don’t assume your kids know getting drunk or getting high is wrong. Consider your kids’ perspective. A quarter to a third of their friends are trying marijuana, entertainment media jokes about it, the majority of the population now considers it harmless, and politicians are passing laws legalizing it. What are young people supposed to think? Sadly, many parents raised in the Nancy Reagan era don’t engage their kids in conversations about drugs. They assume their kids know better. I know I assumed it… and I was dead wrong. We think, they’ve probably heard the anti-drug message at school. Maybe they did… once this year, perhaps a school assembly. Then every other day they hear their friends and favorite celebrities smoking it recreationally. Which message is sinking in more? The conversation is necessary. Look for opportunities to engage them in dialogue on the subject. 2. Keep your eyes open for good information in a world of misinformation. Yes, your kids have an excellent source of mis-information right in their pockets. They read something online and it must be true. “I heard that 420 originated from the Los Angeles penal code for marijuana use…” (Not true). Our kids read a headline and make an assumption. If they actually read an entire article, they often read a post spewing stats without citing the studies that support said facts. So whenever you encounter a respected study, share it with your kids in form of a question. After a family dinner full of conversation, propose, “I read an article today, I’m curious what you think.” Read an excerpt, maybe just a paragraph or two, then ask for their opinion. Don’t limit the conversation to just marijuana. We should be talking with them about alcohol and other drugs as well (the CDC reveals opioids killed more than 33,000 people in 2015, more than any year on record). Any substance that young people use to “numb” reality has consequences, some much more severe than others. Here’s an article from the American Psychological Association about marijuana and the developing brain. Highlight the positive first, maybe reading, “Marijuana shows considerable promise for treating medical conditions,” but… “Persistent marijuana use was linked to a decline in IQ.” Then ask these questions: Why do you think persistent use makes your IQ drop? Do you think most young users know that marijuana can damage the frontal cortex of the brain—the region critical to planning, judgment, decision-making and personality? Do you think it’s worth the risk? Explain. Then why do you think up to a third of high school graduates do it anyway?These questions get them not only considering the damage marijuana can cause, but the attitudes and behaviors that lead to frequent use. Here’s an opinion piece in USA Today from a Colorado professor discouraging readers from legalizing marijuana nationally. Ask these questions: Why do you think college students who use marijuana are getting worse grades? Colorado has seen an increase in marijuana related traffic deaths, poison control calls, and emergency room visits—why do you think this is? Do you think it should be legalized nationally? 35 And you will say, “They hit me, but I didn’t feel it. Ask these questions: What do getting drunk and getting high have in common? How do they differ? (One argument many marijuana-advocates use is that you can’t overdose on weed, but you can drink yourself to death. That is true—alcoholism is scary. That doesn’t lessen the negative effects of weed. I would agree if they bring up the harmful effects of alcohol abuse, then ask, “So does that make it okay to get wasted, just because you can’t smoke yourself to death?”) According to this passage, what are some of the results of drinking too much? Why do you think it describes too much wine as stinging like a viper? Do you know anyone who gets wasted, only to wake up and want to get wasted again? Is there something more to life—explain? I used another powerful study from the Journal of Studies on Alcohol and Drugs in this music discussion a few years ago about the popular song, Turn Down for What. 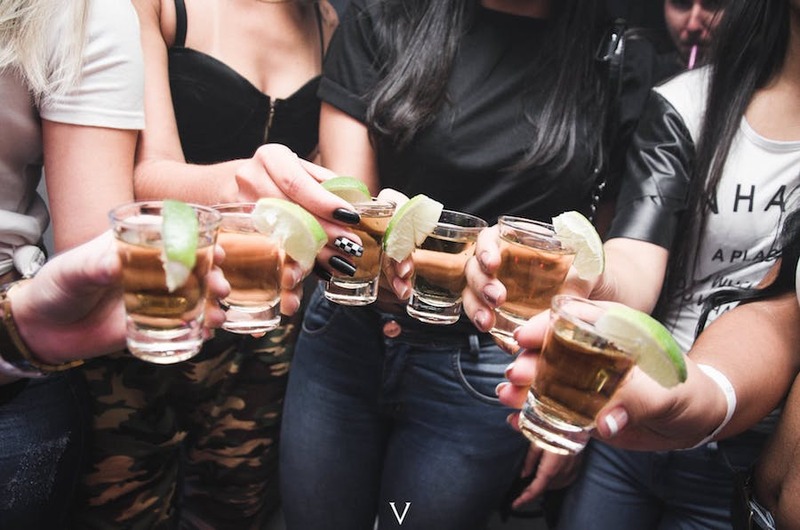 The study followed hundreds of young women from their senior year of high school through their freshman year of college and found two alarming conclusions… a great discussion to talk about unforeseen consequences of drinking and diving into the wisdom of Ephesians 5. Remember to let your kids express their opinion—especially if they are experiencing doubt. When you create a comfortable climate where your kids feel free to share honestly without Mom or Dad freaking out, then they’ll come to Mom or Dad more often. Remember our teens tend to glean wisdom and values through conversations. When we stifle these conversations, we miss out on an opportunity to pass on wisdom and values, and they glean it from other sources. Where are your kids gleaning wisdom from? My friend Matt volunteers at a local mission helping parolees and men who are putting their lives back together after rehabilitation. Matt takes his own kids with him for many of these interactions. His kids have seen and heard countless stories about the effects of drugs and alcohol on these men’s lives more than they have heard Seth Rogan joking about it being “no big deal.” They’ve seen men struggling to hold a job or stay in a relationship because they let “smoking a bowl” become their favorite part of the day. Ryan found himself living out of his car, attempting to hold mediocre jobs, and spending much of life trying to dodge consequences. One day someone asked Ryan, “Who would you be without alcohol and drugs?” That question haunted him and made him think about what he was really seeking out of life. He came to realize he was pursuing what felt good at that moment, and when that moment was over, he didn’t feel fulfilled until the next high. Eventually he discovered what many have discovered. And he gave his life to Christ. Ryan is a pastor now in Northern California. Whenever I address kids about social media, sexual intimacy, drugs… anything in their world… I use stories. Narratives are more memorable than any statistic. Expose your kids to the true stories of people who have been there, done that. Let them meet people and hear these stories first hand. For every one person you’ll find who smokes weed recreationally and manages their life successfully (“I know a girl who smokes weed every night and she still…”) You’ll meet ten whose lives are slowly spiraling downhill because they’re looking for answers in the wrong places. Don’t assume one school assembly did the trick.